By sending 69 peacekeeping and observer missions to the world’s trouble spots over the past six decades, the United Nations has been able to restore calm, allowing many countries to recover from conflict. There are now 16 peacekeeping operations around the world, carried out by some 125,000 brave men and women from 120 countries who go where others can’t or won’t go. Since the 1990s, many conflicts have been brought to an end either through UN mediation or the action of third parties acting with UN support. Recent examples include Sierra Leone, Liberia, Burundi, the north-south conflict in the Sudan and Nepal. Research credits UN peacemaking, peacekeeping and conflict prevention activities as a major factor behind a 40-per cent decline in conflict around the world since the 1990s. UN preventive diplomacy and other forms of preventive action have defused many potential conflicts. In addition, 11 UN peace missions in the field address post-conflict situations and carry out peacebuilding measures. The United Nations Peacebuilding Commission supports peace efforts in countries emerging from conflict. It brings together international donors, international financial institutions, governments and troop-contributing countries, helps marshal resources, and proposes actions for peacebuilding and recovery. The United Nations Peacebuilding Fund supports 222 projects in 22 countries by delivering fast and flexible funding. For over five decades, the International Atomic Energy Agency (IAEA) has served as the world’s nuclear inspector. IAEA experts work to verify that safeguarded nuclear material is used only for peaceful purposes. To date, the Agency has safeguards agreements with more than 180 States. The United Nations helps to clear landmines in some 30 countries or territories, including Afghanistan, Colombia, the Democratic Republic of the Congo, Libya and the Sudan. Landmines kill or maim thousands of civilians every year. The UN also teaches people how to stay out of harm's way, helps victims to become self-sufficient, assists countries in destroying stockpiled landmines and advocates for full international participation in treaties related to landmines. 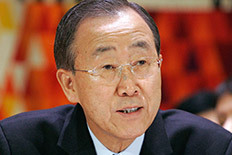 The United Nations pursues global disarmament and arms limitation as central to peace and security. It works to reduce and eventually eliminate nuclear weapons, destroy chemical weapons, strengthen the prohibition against biological weapons, and halt the proliferation of landmines, small arms and light weapons. UN treaties are the legal backbone of disarmament efforts: the Chemical Weapons Convention has been ratified by 190 States, the Mine-Ban Convention by 162 and the Arms Trade Treaty by 69. At the local level, UN peacekeepers often work to implement disarmament agreements between warring parties. In El Salvador, Sierra Leone, Liberia and elsewhere, this has entailed demobilizing combat forces as well as collecting and destroying their weapons as part of an overall peace agreement. Governments coordinate their counter-terrorism efforts through the United Nations. In 2006, they adopted at the UN the first-ever global strategy to counter terrorism. UN agencies and programmes have helped countries to put in practice the global strategy, providing legal assistance and promoting international cooperation against terrorism. The UN has also put in place a legal framework to combat terrorism. Fourteen global agreements have been negotiated under UN auspices, including treaties against hostage-taking, aircraft hijacking, terrorist bombings, terrorism financing and nuclear terrorism. 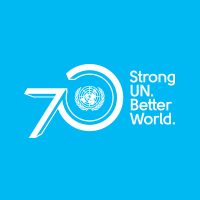 The United Nations has devoted its attention and resources to promoting living standards and human skills and potential throughout the world. Since 2000, this work has been guided by the Millennium Development Goals. Virtually all funds for UN development assistance come from contributions donated by countries. For instance, the UN Development Programme (UNDP), with staff in 170 countries, supports more than 4,800 projects to reduce poverty, promote good governance, address crises and preserve the environment. The UN Children's Fund (UNICEF) works in more than 150 countries, primarily on child protection, immunization, girls' education and emergency aid. The UN Conference on Trade and Development (UNCTAD) helps developing countries make the most of their trade opportunities. The World Bank provides developing countries with loans and grants, and has supported more than 12,000 projects in more than 170 countries since 1947. The Food and Agriculture Organization of the UN (FAO) leads global efforts to defeat hunger. The goal of universal food security —where people everywhere have regular access to enough high-quality food to lead active, healthy lives—is at the heart of its work. FAO acts as a neutral forum, where all nations meet as equals to negotiate agreements and debate policy. FAO also helps developing countries to modernize and improve agriculture, forestry and fisheries practices in ways that conserve natural resources and improve nutrition. The UN Conference on Trade and Development (UNCTAD) has helped developing countries to negotiate trade agreements and win preferential treatment for their exports. It has negotiated international commodity agreements to ensure fair prices for developing countries, improved the efficiency of their trade infrastructure and helped them to diversify their production and to integrate into the global economy. The International Monetary Fund (IMF) and the World Bank have helped many countries to improve their economic management, provided temporary financial assistance to countries to help ease balance-of-payment difficulties and offered training for government finance officials. UN agencies have been responsible for setting standards for aviation and shipping. The International Civil Aviation Organization (ICAO) serves as the forum for cooperation in all fields of civil aviation. It sets standards and regulations for the safety, security, efficiency and environmental soundness of air travel. International aviation is the first industry sector with global goals of stabilizing carbon emissions at 2020 levels and achieving a 2 per cent annual increase in fuel efficiency. ICAO has contributed to making air travel the safest mode of transportation. In 1947, when 21 million travelled by air, 590 were killed in aircraft accidents; in 2013, the number of deaths was 173 out of 3.1 billion airline passengers. The International Maritime Organization (IMO) has helped to make the seas cleaner and shipping—which serves about 90 per cent of global trade—safer and more secure. IMO measures cover all aspects of international shipping—including ship design, construction, equipment, manning, operation and disposal. With the help of IMO, ship losses have fallen and fatalities decreased; pollution incidents—including total oil pollution—are down; and air pollution and pollution from sewage are being addressed. These improvements are taking place even as the amount of cargo carried by sea continues to increase: the total of goods transported by ship reached 9.6 billion tons in 2013. From Afghanistan to Lebanon and from the Sudan to the former Yugoslavia, UNICEF has pioneered the establishment of “days of tranquillity” and the opening of “corridors of peace” to provide vaccines and other aid desperately needed by children caught in armed conflict. 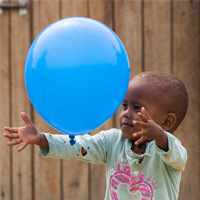 The Convention on the Rights of the Child has become law in nearly all countries. 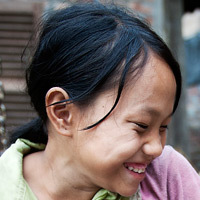 Following the 2002 UN special session on children, 190 Governments committed themselves to a time-bound set of goals in the areas of health, education, protection against abuse, exploitation and violence and the struggle against HIV/AIDS. Cities are now home to half of humankind. They are the hub for much national production and consumption—economic and social processes that generate wealth and opportunity. But they also are places of disease, crime, pollution and poverty. In many cities in developing countries, slum-dwellers number more than 50 per cent of the population and have little or no access to shelter, water and sanitation. The UN Human Settlements Programme (UN-Habitat), with hundreds of projects in some 70 countries, seeks innovative solutions for towns and cities. These include providing security of tenure for the urban poor, which is in turn a catalyst for investment in housing and basic services for the poor. The Universal Postal Union (UPU) facilitates the exchange of international mail and develops social, cultural and commercial communications between peoples and businesses with up-to-date postal services and products. The world's 640,000 post offices form one of the most extensive global networks, facilitating the transfer of information, goods and money. The Internet and new technologies have opened new opportunities for postal services, especially in the area of e-commerce and online shopping. Postal services remain a critical bridge between physical, digital and financial operations and are a key partner for global development. The International Telecommunication Union (ITU) brings together Governments and industry to develop and coordinate the operation of global telecommunication networks and services. It has coordinated shared use of the radio spectrum, promoted international cooperation in assigning satellite orbits, worked to improve telecommunication infrastructure in the developing world and negotiated the global standards that ensure the seamless interconnection of a vast range of communications systems. From broadband Internet to the latest-generation wireless technologies, from air and sea navigation to radio astronomy and satellite-based meteorology, from phone services to TV broadcasting and next-generation networks, ITU is committed to connecting the world. Its work has helped telecommunications to grow into a $2.1 trillion global industry. International tourism arrivals reached 1.1 billion in 2014, generating $1.5 trillion in export earnings. The World Tourism Organization is the UN agency responsible for the promotion of responsible, sustainable and universally accessible tourism. It generates market knowledge, promotes competitive and sustainable tourism policies, fosters tourism education and training, and works to make tourism a tool for development through technical assistance projects in over 100 countries. Its Global Code of Ethics for Tourism seeks to maximize the benefits of tourism while minimizing its negative impact. 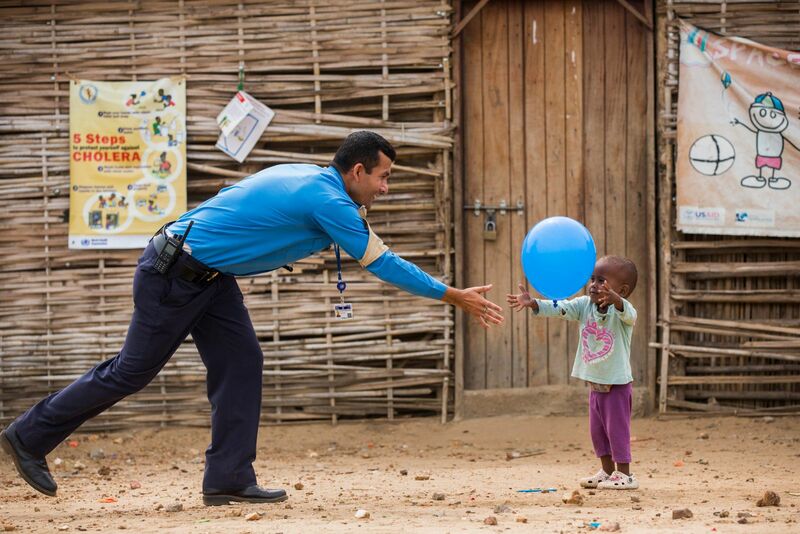 The United Nations Volunteers (UNV) programme promotes volunteerism to support peace and development worldwide. Volunteerism can transform the pace and nature of development, and benefits both society and the individual volunteer. UNV deploys close to 8,000 experienced women and men of nearly 160 nationalities every year. Working in more than 130 countries, these volunteers support development projects and work in peacekeeping and humanitarian operations. More than 75 per cent of them come from developing countries, and about a third work as volunteers in their own countries. The United Nations is at the forefront of research that seeks solutions to global problems. The UN Population Division is a leading source of information and research on global population trends, producing up-to-date demographic estimates and projections. The UN Statistics Division is the hub of the global statistical system, compiling and disseminating global economic, demographic, social, gender, environment and energy statistics. The United Nations Development Programme’s annual Human Development Report provides independent, empirically grounded analyses of major development issues, trends and policies, including the groundbreaking Human Development Index. The United Nations World Economic and Social Survey, the Word Bank’s World Development Report, the International Monetary Fund's World Economic Outlook and other studies help policymakers to make informed decisions. 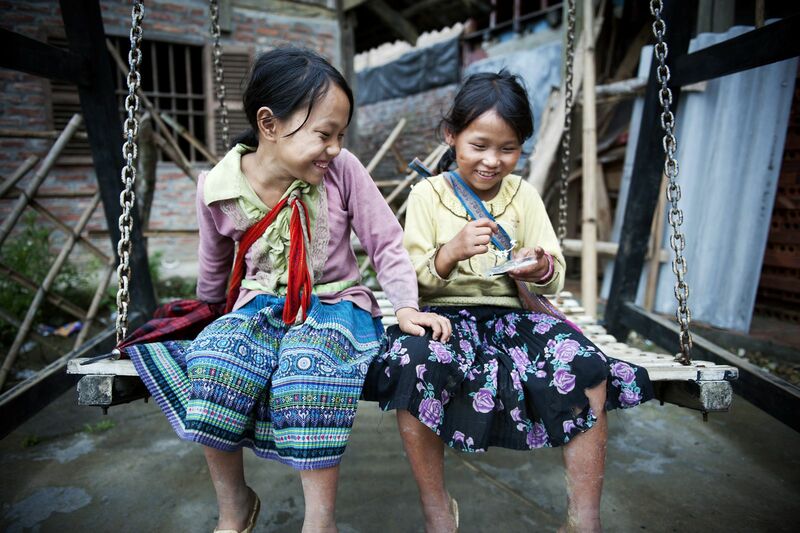 Little girls from a local hill tribe laugh on a swing set in Sapa, Viet Nam. UN Photo/Kibae Park. Today 84 per cent of adults can read and write and 91 per cent of children attend primary school. The goal now is to ensure that by 2015 all children complete a full course of primary school. Programmes aimed at promoting education and advancement for women helped to raise the global adult female literacy rate to 79.9 per cent in 2011. The next goal is to ensure that by 2015 all girls complete primary and secondary school. The UN Educational, Scientific and Cultural Organization (UNESCO) has helped 137 countries to protect ancient monuments and historic, cultural and natural sites. It has negotiated international conventions to preserve cultural property, cultural diversity and outstanding cultural and natural sites. More than 1,000 such sites have been designated as having exceptional universal value - as World Heritage Sites. UNESCO has encouraged scholarly and scientific cooperation, protection of cultural heritage and promotion of cultural expression, including for minorities and indigenous people. The United Nations Academic Impact initiative joins some 1,200 affiliated academic institutions with the United Nations to further the goals of the Organization through activities and research carried out in a shared culture of intellectual social responsibility. The United Nations University is a global think tank and postgraduate teaching organization with 13 research and training institutes and programmes in 12 countries. It works with leading universities and research institutes, investigating issues such as global change and sustainable development, development governance, and science, technology, innovation and society. Its postgraduate teaching activities contributes to capacity building in developing countries. The first United Nations conference on the environment (Stockholm, 1972) helped to alert world public opinion on the dangers faced by our planet, triggering action by governments. The first world conference on women (Mexico City, 1985) put women's right, equality and progress on the global agenda. Other landmark events include the first international conference on human rights (Teheran, 1968), the first world population conference (Bucharest, 1974) and the first world climate conference (Geneva, 1979). Those events brought together experts and policymakers, as well as activists, from around the world, prompting sustained global action. Regular follow-up conferences have helped to sustain the momentum. Since the General Assembly adopted the Universal Declaration of Human Rights in 1948, the United Nations has helped to enact dozens of legally binding agreements on political, civil, economic, social and cultural rights. By investigating individual complaints, the UN human rights bodies have focused world attention on cases of torture, disappearance, arbitrary detention and other violations, and have generated international pressure on Governments to improve their human rights records. The United Nations promotes and strengthens democratic institutions and practices around the world, including by helping people in many countries to participate in free and fair elections. The UN has provided electoral assistance to more than 100 countries, often at decisive moments in their history. In the 1990s, the UN organized or observed landmark elections in Cambodia, El Salvador, South Africa, Mozambique and Timor-Leste. More recently, the UN has provided crucial assistance in elections in Afghanistan, Burundi, the Democratic Republic of the Congo, Iraq, Nepal, Sierra Leone and Sudan. When the United Nations was established in 1945, 750 million people— almost a third of the world population—lived in non-self-governing territories dependent on colonial powers. The UN played a role in bringing about the independence of more than 80 countries that are now sovereign nations. By imposing measures ranging from an arms embargo to a convention against segregated sporting events, the United Nations was a major factor in bringing about the downfall of the apartheid system. In 1994, elections in which all South Africans were allowed to participate on an equal basis led to the establishment of a multiracial Government. A long-term objective of the United Nations has been to improve the lives of women and empower them to have greater control over their lives. 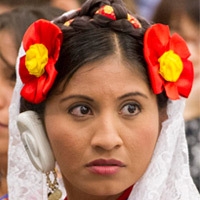 The UN organized the first-ever World Conference on Women (Mexico City, 1975), which, together with two World Conferences during the UN Decade for Women (1976-1985) and the World Conference in Beijing (1995), set the agenda for advancing women's rights and promoting gender equality. The 1979 UN Convention on the Elimination of All Forms of Discrimination against Women, ratified by 189 countries, has helped to promote the rights of women worldwide. Thirty-five per cent of women and girls globally experience some form of physical and or sexual violence in their lifetime. Some 603 million women live in countries in which domestic violence is not considered a crime. As many as one in four women experience physical or sexual violence during pregnancy. Domestic violence is still condoned in many societies. To address the problem, UN-Women seeks to engage men and boys, works with local partners and supports the adoption of laws against domestic and sexual violence. The United Nations Trust Fund to End Violence against Women has awarded $103 million to 393 initiatives in 136 countries and territories. The global campaign UniTE to End Violence against Women works to raise awareness and increase political will and resources for ending violence against women and girls. 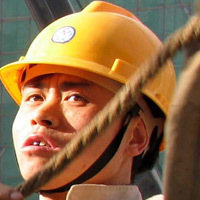 The International Labour Organization (ILO) has established standards and fundamental principles and rights for work, including freedom of association, the right to collective bargaining and the abolition of forced labour, child labour and workplace discrimination. 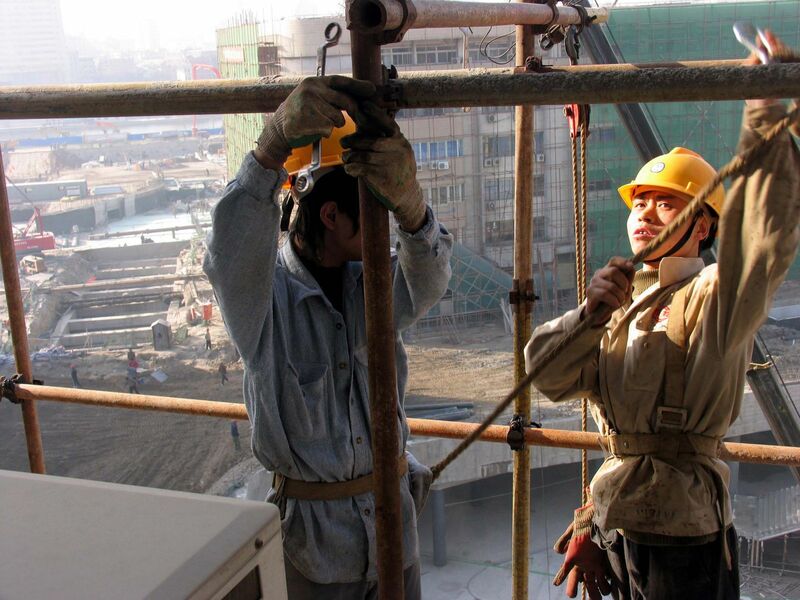 Employment promotion, social protection for all and strong social dialogue between employers’ and workers’ organizations and Governments are at the core of ILO activities. To allow all people to obtain information that is free of censorship and culturally diverse, UNESCO has helped to develop and strengthen the media and supported independent newspapers and broadcasters. UNESCO also serves as a watchdog for press freedom, and publicly denounces serious violations like the assassination and detention of journalists. The United Nations has been at the forefront of the fight for full equality for persons with disabilities, promoting their participation in social, economic and political life. The UN has shown that persons with disabilities are a resource for society, and has negotiated the first-ever treaty to advance their rights and dignity worldwide: the 2006 Convention on the Rights of Persons with Disabilities, which has been ratified by more than 150 countries. The United Nations has brought to the fore injustices against the 370 million to 500 million indigenous people who live in some 90 countries and who are among the most disadvantaged and vulnerable groups in the world. 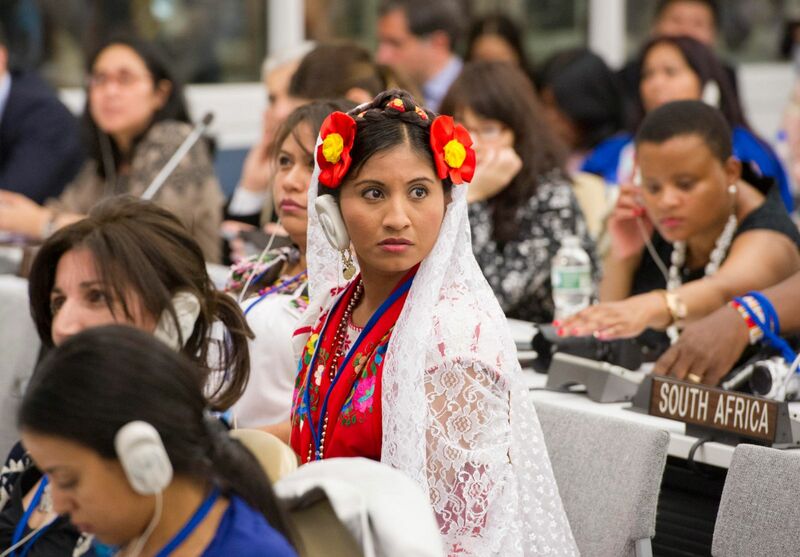 The 16-member Permanent Forum on Indigenous Issues works to improve the situation of indigenous peoples all over the world in development, culture, human rights, the environment, education and health. The Expert Mechanism on the Rights of Indigenous Peoples makes proposals on improving indigenous rights. Climate change is a global problem that demands a global solution. The United Nations has been at the forefront in assessing the science and forging a political solution. 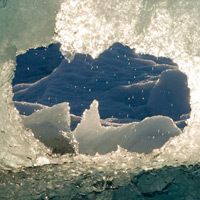 The Intergovernmental Panel on Climate Change, which brings together 2,000 leading climate change scientists, issues comprehensive scientific assessments every five or six years: in 2007, it concluded with certainty that climate change was occurring and that human activities were a primary cause. The 196 members of the UN Framework Convention on Climate Change are negotiating agreements to reduce emissions that contribute to climate change and help countries adapt to its effects. The UN Environment Programme (UNEP) and other UN agencies have been at the forefront in raising awareness. 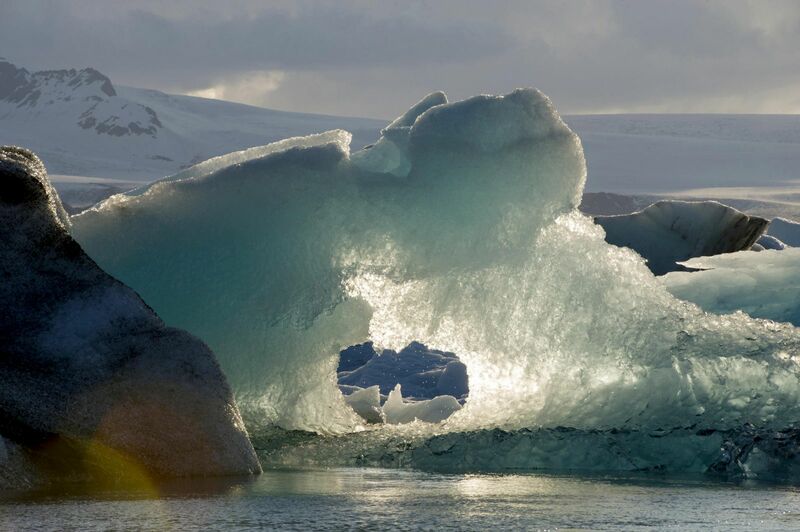 The UN helps developing countries to respond to the challenges of global climate change. Thirty-nine UN bodies have formed a partnership to deal comprehensively with the problem. For instance, the Global Environment Facility, which brings together 10 UN agencies, funds projects in developing countries. As the financial mechanism of the Climate Convention, it allocates about $550 million per year in projects on new technologies, energy efficiency, renewable energies and sustainable transportation. The United Nations is working to solve global environmental problems. As an international forum for building consensus and negotiating agreements, the UN is tackling global problems such as ozone layer depletion, toxic waste, loss of forests and species, and air and water pollution. Unless these problems are addressed, markets and economies will not be sustainable in the long term, as environmental losses are depleting the natural capital on which growth and human survival are based. The UN Environment Programme (UNEP) and the World Meteorological Organization (WMO) have been instrumental in highlighting the damage caused to Earth's ozone layer. As a result of a treaty known as the Montreal Protocol, countries have been phasing out chemicals that cause the depletion of the ozone layer and replacing them with safer alternatives. This will spare millions of people from contracting skin cancer because of exposure to increased ultraviolet radiation. During the first UN decade on water (1981-1990), more than a billion people gained access to safe drinking water for the first time in their lives. By 2002, another 1.1 billion people had clean water. In 2003, the International Year of Freshwater raised awareness of the importance of protecting this precious resource. The second international water decade (2005-2015) aims to reduce by half the number of people without a source of clean drinking water. Ninety per cent of major marine commercial fish stocks are exploited to their sustainable limits or beyond. FAO monitors global fisheries production and the status of wild fish stocks and works with countries to improve the management of fisheries, stamp out illegal fishing, promote responsible international fish trade and protect fragile species and environments. The Stockholm Convention on Persistent Organic Pollutants seeks to rid the world of some of the most dangerous chemicals ever created. Ratified by 179 countries, the Convention targets 23 hazardous pesticides and industrial chemicals that can kill people, damage the nervous and immune systems, cause cancer and reproductive disorders and interfere with child development. Other UN conventions and action plans help to preserve biodiversity, protect endangered species, combat desertification, clean up seas and curb cross-border movements of hazardous wastes. 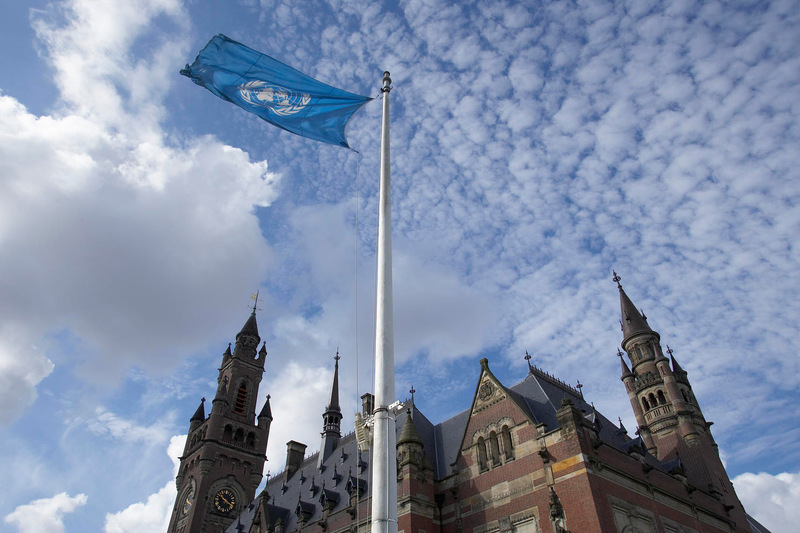 By prosecuting and convicting war criminals, the UN tribunals established for the former Yugoslavia and for Rwanda have helped to expand international humanitarian and international criminal law dealing with genocide and other violations of international law. Both tribunals have contributed to restoring peace and justice in the affected countries and in the region. The International Criminal Court is an independent permanent court that investigates and prosecutes persons accused of the most serious international crimes—genocide, crimes against humanity and war crimes—if national authorities are unwilling or unable to do so. Situations in nine countries have been referred to the Court, which has already established itself as the centrepiece of the system of international criminal justice. UN-backed courts in Cambodia and Lebanon are prosecuting those responsible for serious violations of international law, including mass killings and war crimes. Over 560 multilateral treaties—on human rights, terrorism, global crime, refugees, disarmament, trade, commodities, the oceans and many other matters—have been negotiated and concluded through the efforts of the United Nations. 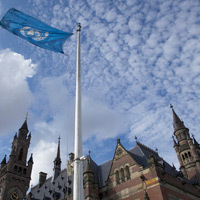 By delivering judgments and advisory opinions, the International Court of Justice (ICJ) has helped to settle international disputes involving territorial questions, maritime boundaries, diplomatic relations, State responsibility, the treatment of aliens and the use of force, among others. The United Nations has spearheaded international efforts to regulate the use of the oceans under a single treaty. The 1982 UN Convention on the Law of the Sea, which has gained nearly universal acceptance, provides the legal framework for all activities in the oceans and seas. The Convention lays down rules on the rights and duties of coastal and landlocked States—including with regard to navigation, the establishment of maritime zones, the protection of the marine environment, scientific research and the conservation and sustainable use of marine life. The treaty includes mechanisms for settling disputes. The UN Office on Drugs and Crime (UNODC) works with countries and organizations to counter transnational organized crime by providing legal and technical assistance to fight corruption, money-laundering, drug trafficking and smuggling of migrants, as well as by strengthening criminal justice systems. It helps countries to prevent terrorism, it is a leader in the global fight against trafficking in persons and, together with the World Bank, it helps countries to recover assets stolen by corrupt leaders. It has played a key role in brokering and implementing relevant international Treaties, such as the UN Convention against Corruption and the UN Convention against Transnational Organized Crime. The UN Office on Drugs and Crime (UNODC) works to reduce the supply of and demand for illicit drugs under the three main UN conventions on drug control. The Office works with countries to improve public health, as well as public security, in order to prevent, treat and control drug abuse. Efforts to contain the global drug problem have reversed a 25-year rise in drug abuse and headed off a pandemic. Nevertheless, several countries and regions remain vulnerable to the instability caused by drug cultivation and trafficking. That is why the Office is particularly engaged in drug control in Afghanistan, the Andean countries, Central Asia, Myanmar and West Africa. The World Intellectual Property Organization (WIPO) promotes the protection of intellectual property rights and ensures that all countries are in a position to harness the benefits of an effective intellectual property system. Intellectual property, which at its core is a mechanism designed to recognize and reward inventors and creators for their ingenuity while safeguarding the public interest, helps to promote development and create wealth. The incentives built into the intellectual property system act as a spur to human creativity, pushing forward the boundaries of science and technology and enriching the world of literature and the arts. 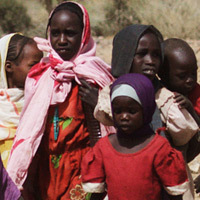 A Sudanese woman and children in Fanga Suk in East Jebel Marra, South Darfur. UN Photo/Olivier Chassot. More than 60 million refugees fleeing persecution, violence and war have received aid from the Office of the UN High Commissioner for Refugees (UNHCR) since 1951, in a continuing effort that often involves other agencies. UNHCR seeks long-term or "durable" solutions by helping refugees repatriate to their homelands, if conditions warrant, or by helping them to integrate in their countries of asylum or to resettle in third countries. There are more than 42 million refugees, asylum-seekers and internally displaced persons, mostly women and children, who are receiving food, shelter, medical aid, education and repatriation assistance from the UN. As the global community strives for a lasting peace between Israelis and Palestinians, the UN Relief and Works Agency for Palestine Refugees in the Near East (UNRWA), a relief and human development agency, has assisted four generations of Palestinian refugees with education, health care, social services, microfinance and emergency aid. Today, UNRWA provides assistance, protection and advocacy for some 5 million registered Palestine refugees in the Middle East. When natural disasters and emergencies arise, the UN coordinates and mobilizes assistance to the victims. Working together with Governments, the Red Cross/Red Crescent Movement, major aid organizations and donors, the United Nations provides much-needed humanitarian assistance. UN appeals raise several billion dollars a year for emergency assistance. The World Meteorological Organization (WMO) has helped to spare millions of people from the calamitous effects of natural and man-made disasters. Its early warning system, which includes thousands of surface monitors, as well as satellites, has made it possible to predict with greater accuracy weather-related disasters, has provided information on the dispersal of oil spills and chemical and nuclear leaks and has predicted long-term droughts. It has also allowed for the efficient distribution of food aid to drought-affected regions. The World Food Programme (WFP) is the world's largest humanitarian agency, fighting hunger worldwide, delivering food assistance in emergencies and working with communities to improve nutrition and build resilience. Each year, WFP assists some 80 million people in around 80 countries, providing food and nutritional support to the poorest, most under-nourished people and working towards the Global Goal of Zero Hunger. 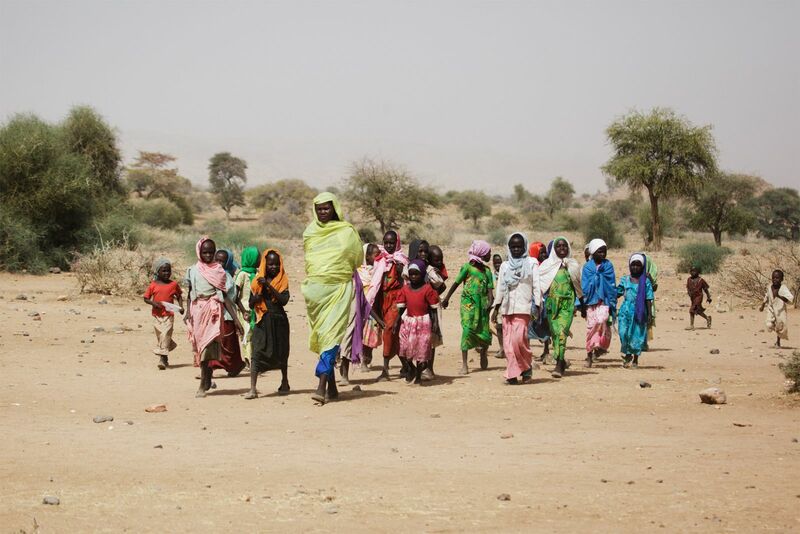 In 2014, WFP provided school meals or take-home rations for more than 17 million children. WFP increasingly uses cash-based transfers so that people can buy food for themselves and in 2014 around 9 million people were reached in this way. WFP also provides vital support for the whole humanitarian community in the fields of aviation, logistics and telecommunications. By promoting the right of individuals to make their own decisions on the number and spacing of their children through voluntary family planning programmes, the United Nations Population Fund (UNFPA) has helped people to make informed choices and given families, especially women, greater control over their lives. As a result, women in developing countries are having fewer children—from six in the 1960s to three today—slowing world population growth. Fewer unintended pregnancies also means less maternal death and fewer abortions. When UNFPA started work in 1969, fewer than 20 per cent of couples practiced family planning; the number now stands at 63 per cent. UNFPA and its partners also help to provide skilled assistance during childbirth and access to emergency obstetrical care. UNFPA supports safe motherhood initiatives in more than 90 countries. The Joint United Nations Programme on HIV/AIDS (UNAIDS) coordinates global action against an epidemic that affects some 35 million people. It works in more than 80 countries to provide universal access to HIV prevention and treatment services, as well as to reduce the vulnerability of individuals and communities and alleviate the impact of the epidemic. UNAIDS brings together the expertise of its 11 co-sponsoring UN organizations. Poliomyelitis has been eliminated from all but three countries—Afghanistan, Nigeria and Pakistan—as a result of the Global Polio Eradication Initiative. Thanks to the Initiative, spearheaded by the World Health Organization, UNICEF, Rotary International and the U.S. Centers for Disease Control and Prevention, more than 10 million people are walking who would otherwise have been paralyzed by polio. A disease that once crippled children in 125 countries is on the verge of being eradicated. A 13-year effort by the World Health Organization (WHO) resulted in smallpox being declared officially eradicated from the planet in 1980. The eradication has saved an estimated $1 billion a year in vaccination and monitoring, almost three times the cost of eliminating the scourge itself. A World Health Organization programme reduced levels of river blindness (onchocerciasis) in 10 West African countries while opening up 25 million hectares of fertile land to farming. Today, the disease is being controlled in 19 more countries under the African Programme for Onchocerciasis Control. In 1991, efforts by UN agencies in North Africa led to the elimination of the dreaded screw worm. Guinea-worm disease is on the verge of being eradicated, while other diseases, such as leprosy—which has been eliminated in 119 out of 122 endemic countries—schistosomiasis and sleeping sickness are now under control. The World Health Organization helped to stop the spread of severe acute respiratory syndrome (SARS). In March 2003, it issued a global alert and emergency travel advisory, and its leadership helped to stop this new disease, which had the potential to become a worldwide epidemic. WHO investigates over 200 disease outbreaks each year, 15 to 20 of which require an international response. Some of the more prominent diseases for which WHO is leading the global response include Ebola, meningitis, yellow fever, cholera and influenza, including avian influenza. Immunization saves more than 2 million lives every year. 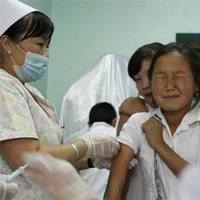 As a result of efforts by the World Health Organization, UNICEF, other organizations and Governments, an estimated 84 per cent of the world's children are now vaccinated with the diphtheria-pertussis-tetanus vaccine, up from 20 per cent in 1980. 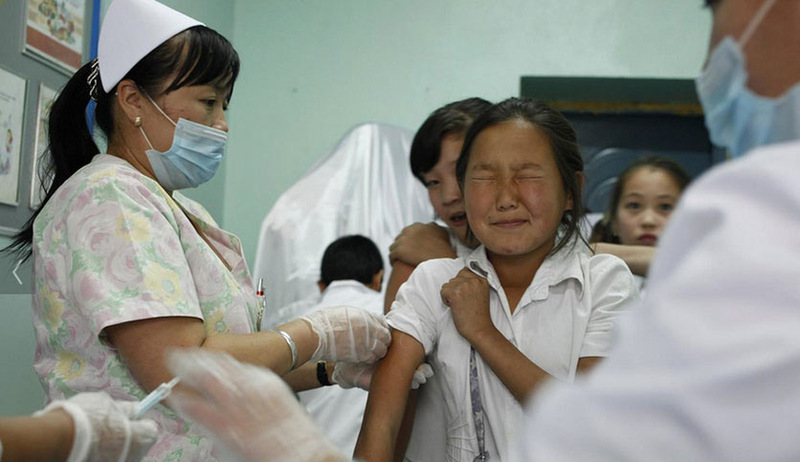 Between 2000 and 2012, measles deaths declined by 78 per cent globally. Barriers to introducing new vaccines are gradually being overcome, and contacts forged through immunization are being used to provide additional life-saving assistance, such as insecticide-treated nets to protect against malaria and vitamin A supplements to prevent malnutrition. In 1990, 1 out of 10 children died before they were five years old. Through oral rehydration therapy, clear water and sanitation and other health and nutrition measures undertaken by UN agencies, child mortality rates in developing countries had dropped to 1 in 20 by 2013. The goal is now to reduce the 1990 under-five mortality rate by two thirds by 2015. To ensure the safety of food sold in the marketplace, FAO and the World Health Organization, working with Member States, have established standards for more than 200 food commodities, safety limits for more than 3,200 food contaminants, and regulations on food processing, transport and storage. Standards on labeling and description seek to ensure that the consumer is not misled. More food than ever before is travelling the globe, and the United Nations works to make sure that it is safe.